How Real Do Survival Games Feel to a Real Survivor? I'm slipping in the mud as the rain continues to fall. I'm almost down the mountain. Just a few more miles to go, but it's becoming dark. I can barely see. And my pack has started to take on water. It's still full of a week's worth of supplies and weighs close to 90 pounds now. My injured leg throbs and I can barely take five steps without needing to rest. Meanwhile both knees have started to fail, buckling under the weight of the pack and the pressure of compensating for the gimpy leg. By the time I make it to my truck, I'm practically crawling and soaking wet. It's summer in North Carolina, and the temperature in the air is somewhere near 80 degrees Fahrenheit, but I'm shivering. A few degrees cooler and I'd be concerned about hypothermia. It's taken me almost six hours to the hike the 10 miles down the mountain. I'm hungry, tired and so badly injured I can barely walk. Turning around and heading home was the right call, but I'm still not out of the woods, literally or figuratively. 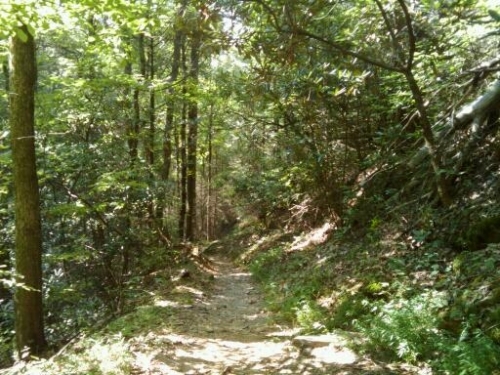 I have no cell reception, and the trailhead is at the end of a barely-used road. I'm in a vehicle and safe, but I'm still miles from civilization. I could still be stranded. As my body warms up, I feel slightly better and head home. I get a cell signal a few minutes later. A half hour later I find a Burger King. I'll make it all the way home and to bed, but my injury will persist for months. I'll be completely unable to walk the next day. The following week I'll begin physical therapy. I'll walk with a cane for months. I was healthy and fit at the start of the day, then a bad footfall and a turn in the weather almost killed me. That's how quickly your world can come upended, in real life. The Long Dark has no zombies, but is in many ways a far more deadly game that DayZ, and in regards to its approach to the dangers of surviving in the wild, a little more realistic. In The Long Dark, you're dropped (literally) into a howling cold wilderness, having survived a plane crash after a freak electrical storm. When the game ships it will have a mystery story for you to solve, but for now, in pre-release, it's just a sandbox. The goal is to survive for as long as you can. The Long Dark's emphasis is on the mundane aspects of survival: keeping warm, staying fed and resting. It is brutal in this regard. Just shivering in the cold will burn calories, as will walking, running or doing anything else. To tend to your body's needs, you will need to constantly expose yourself to the dangers of the wilderness. If you don't tend to them, you will die. On my first play through of The Long Dark, I was in-game for only a few minutes before a howling storm made travel almost impossible, my core temperature dropped, my perception dulled and I died. Not a great start, but realistic. On my next play through I made it a few days before starving to death. I'd discovered a seemingly well-supplied cabin along a lake. I was so in need of food, water and warmth, however, that I quickly depleted the cabin's stores nursing myself back to health and then had to venture back out to find more supplies. On my third playthrough, I managed to explore almost every inch of the game world, discovered many useful, supply-filled structures, and then died of exposure in my sleep after succumbing to food poisoning and a busted ankle that had never healed. I lasted seven days, which, I think, was pretty realistic. The wolves are what I remember most. There were a lot of them, and they were not afraid of man. On my last playthrough I found a hunting rifle, but only a few rounds of ammunition. I had at first thought to kill a deer, but decided to save the rounds for fending off wolves. Good call, as the wolves were everywhere. I ran out of bullets before I ran out of wolves. I was walking along a railroad track when I encountered one I could not evade. He bared his teeth and inched toward me. I was out of bullets, but I had flares. I popped a flare and the wolf stopped short, confused by the wizardry of this two-legged beast who could summon fire. I inched toward the wolf, but he didn't move. So I threw that flare and the wolf went running, intimidated by the aggression of a strange beast. 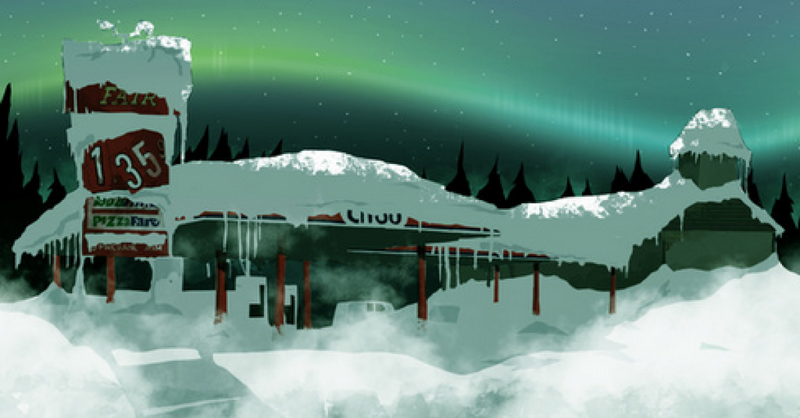 And this is, ultimately, what sold me on The Long Dark. I've never faced a wolf in the wild, but I have stared down a bear. 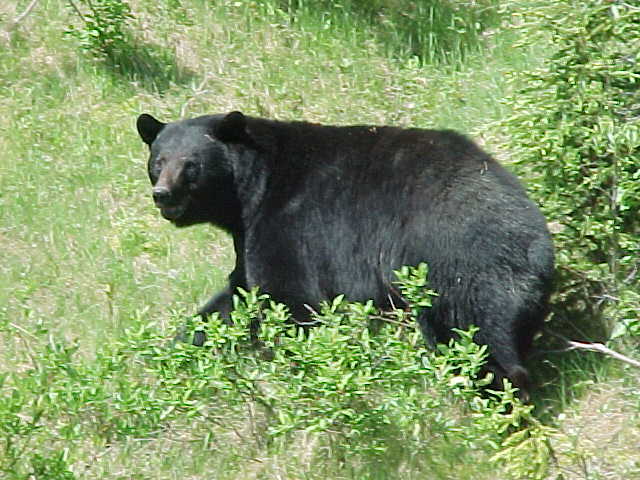 I was alone on a mountain at dusk and had stumbled into the path of a seven-foot black bear. I had no flares (and no weapon) but I did have my wits. As the bear (curious about this two-legged possible source of food that had attracted its attention) stepped toward me, I searched my mind for how to repel it. I was carrying a pack and could not outrun the beast. It drew to within 10 feet, and I knew I'd have to intimidate him or else be prepared to be mauled. My barbaric yawp reverberated from the hills. It was my last hope, my only weapon. It was the most aggressive sound I have ever emitted. And it saved me. The bear stopped in its tracks, buffeted by my yell, and spun on its heels and fled down the mountain. As it left, it drove inches-deep gashes into the hard surface of the trail and crashed for what sounded like a mile through the underbrush before the sounds of its passing began to fade. As with any video game that attempts to match the realism of a deep survival scenario, The Long Dark and DayZ will fall down in some areas, even after they launch, but they will capture others vividly. I will play both for different reasons, but I will not fool myself into thinking there are true survival simulators. I've been in real life survival situations, and no game has ever come close. But a video game has something no real life survival scenario ever will: fun. And I'll take that over the real thing any day.